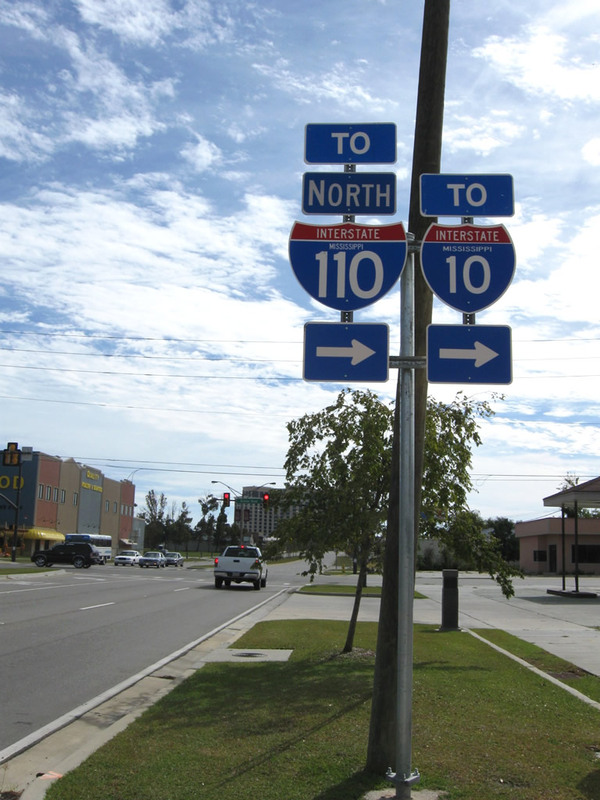 Trailblazer assembly on southbound Couevas Street approaching Division Street one block east of Interstate 110 in Biloxi. This assembly was erected August 5, 2009. Photo by Brent Ivy, 10/24/2009.